My kiddos LOVE peanut butter, so we were excited to try out a healthier version from Tropical Traditions. I was excited that it is made with no fillers, no sweeteners, and no preservatives; just healthy peanuts and healthy coconut! The kids absolutely love they yummy peanuty, coconuty taste! Coconut Peanut Butter is now just another permanent staple in our house from Tropical Traditions! 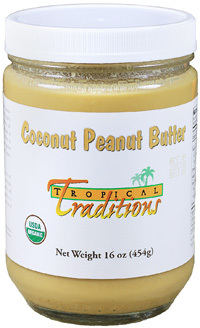 One lucky Giveaways for Mom reader will win a jar of coconut peanut butter from Tropical Traditions! We recently got to try out yet another great product from Tropical Traditions, the Gold Label Virgin Coconut Oil Hair Treatment. I love all the Tropical Traditions products since they're all natural. I just can't believe all the amazing things coconut oil can do! Tropical Traditions has definitely harnessed that power into as many househould and skin care products as possible! After just one use the Gold Label Virgin Coconut Oil Hair Treatment left my hair shinier and softer! The Gold Label Virgin Coconut Oil Hair Treatment has several uses; you can use it to cure dry scalp by rubbing in to your scalp and sleeping with it applied (use a shower cap!) You can also use it as a hair condition by rubbing it into the ends of your hair after washing. Gold Label Virgin Coconut Oil Hair Treatment has preformed miracles on my hair! 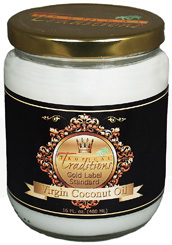 Tropical Traditions Gold Label Virgin Coconut Oil for Hair Treatment is specially made for hair application. It has a slightly higher amount of protein than our other coconut oils, due to the presence of coconut solids. This Gold Label Virgin Coconut Oil is a truly unrefined coconut oil. This coconut oil is made on Mt. Banahaw and surrounding areas from organic coconuts. Coconuts are used fresh (within 24-48 hours of harvest) from small family farms on Mt. Banahaw and other rural places in Quezon Province, the coconut capital of the Philippines. Only the highest quality coconuts are hand-picked from each harvest. The volcanic soil of Mt. Banahaw makes these organic coconuts some of the most nutritionally rich coconuts in the world! Testing done in independent laboratories reveals higher levels of phenolic antioxidants than other coconut oils. The fresh coconut meat is shredded (wet milled), and then cold-pressed using the water from inside the coconuts to make coconut milk. The milk is then allowed to sit for about half a day, while the oil naturally separates from the heavier water. The oil is then filtered from the curds (coconut solids). No chemical or high-heat treatment is used, and this oil contains no trans fatty acids. We do NOT mass produce this oil. It is made by families who are coconut farmers using old-fashioned traditional methods that have been used in the Philippines for hundreds of years. Our coconut trees and family producers are certified organic according to strict USDA standards. The families who produce the oil are also trained according to GMP (Good Manufacturing Practice) standards and re-certified each year. This high-grade Virgin Coconut Oil has a long shelf life due to the high antioxidant properties. The Gold Label standard is our highest standard for Virgin Coconut Oil. One lucky Giveaways for Mom reader will win the coconut oil hair treatment from Tropical Traditions! The winner will be chosen on October 4, 2011. Good luck! More and more of our cleaning products are being replaced by Household Traditions. I like that they are non-toxic and they still get the job done! We've added Household Traditions Powdered Dishwasher Detergent onto our list of favorite cleaning products! It uses powerful, non-toxic ingredients to clean and sanitize dishes, pots, and pans without the use of chlorine, phosphates, fillers or other harmful ingredients. Household Traditions Powdered Dishwasher Detergent is guaranteed to work as well as the leading commercial products and it is economical to use. It came in a HUGE jug and will last for a very long time! I'm very impressed with it's cleaning power! Household Traditions Powdered Dishwasher Detergent With Enzymes is free of: * Chlorine * Phosphates * Fillers * Fragrances Household Traditions Powdered Dishwasher Detergent is non-toxic and environmentally safe with no harmful by-products upon decomposition. 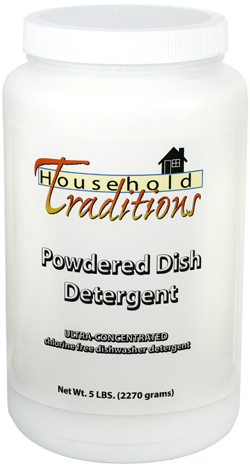 Household Traditions Powdered Dishwasher Detergent does NOT contain chlorine, phosphates, fillers or fragrances. Household Traditions Powdered Dishwasher Detergent rinses away completely leaving no residue on your dishes so you get a clean, safe sparkle. All of the great Household Traditions products can be found here. One lucky Giveaways for Mom reader will win a bottle of powdered dishwasher detergent from Household Traditions! The winner will be chosen on August 12, 2011. Good luck! Its no secret by now that I love Tropical Traditions. They have so many great products for the home that aren't filled with harmful chemicals. I love replacing traditional household products with safer alternatives, and Tropical Traditions has greatly helped with that! I just tried out their dish liquid & I'm impressed. First of all, a TON of liquid came in the bottle; its sure to last us a while! It's made from coconut's natural moisturizing qualities, so its safe and soothing on your hands but tough on dirty, greasy dishes. This dish liquid worked great for us! Household Traditions Dish Liquid is an effective and concentrated dish soap developed by and for people with allergies, asthma and Multiple Chemical Sensitivities. Household Traditions Dish Liquid is a coconut-based product—it contains nature’s versatile, renewable harvest. With coconut’s natural moisturizing qualities, washing dishes is even soothing to your hands. Household Traditions Dish Liquid is safe for you but tough on dirty, greasy dishes. It breaks down safely and rapidly making it safer for the environment. It is also low sudsing, making it ideal for camping or other outdoor uses. Household Traditions Dish Liquid is free of fragrances, phosphates, petroleum solvents, chlorine, dyes and other common triggers for respiratory or skin irritations. One lucky Giveaways for Mom reader will win a bottle of dish liquid from Tropical Traditions! The winner will be chosen on July 3, 2011. Good luck! I've tried several Tropical Traditions products over the past month & I think it's pretty clear that I love them! Well, I've found another product to add to the "LOVE IT!" 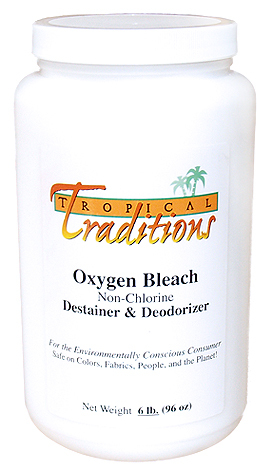 category, the Tropical Traditions Oxygen Bleach! As all cloth diapering mamas know, occasionally you can get a bad case of the stinkies. We battled this problem for several months until I finally found a cure: adding a tablespoon of bleach to the last rinse cycle! Since I've done this, we've had no stinkies. But now we have a new problem. Bleach spots on my adorable diapers! Since Tropical Traditions Oxygen Bleach comes in a powder, not a liquid, we no longer have this problem! Now my diapers aren't stinky and no more bleached out spots! Tropical Traditions Oxygen Bleach has many other household uses, too! One lucky Giveaways for Mom reader will win a bottle of powdered oxygen bleach from Tropical Traditions! The winner will be chosen on April 25, 2011. Good luck! As you all know, I love replacing products that aren't necessarily all-natural with products that ARE all-natural! I've found yet another GREAT product I'd like to introduce to you all! I love Tropical Traditions! They have tons of fantastic organic products for your home! In the past I've tested out the virgin coconut oil and the organic skin exfoliater. I just got to test out the powdered laundry detergent and LOVE it! My favorite thing about this detergent is that it is free of dyes, perfumes, fillers, and phosphates! I can use it on my kid's clothes with no worries! Since it's free of dyes, it has a GREAT fresh scent. I'm impressed with the cleaning power of Tropical Traditions powdered laundry detergent. I'm SO excited to place yet another household product with an organic alternative! With our Laundry Detergent there are no harmful by-products upon decomposition. Powdered Laundry Detergent dissolves as completely as liquid detergents and rinses away completely leaving no residue in your clothes. Powdered Laundry Detergent costs less to use than commercial liquid detergents and costs no more to use than commercial powdered household laundry detergents. Powdered Laundry Detergent contains no dyes, perfumes, fillers or phosphates. Compare our Laundry Detergent to your normal laundry detergent and you’ll see the difference! One lucky Giveaways for Mom reader will win a bottle of powdered laundry detergent from Tropical Traditions! The winner will be chosen on March 10, 2011. Good luck! Review & Giveaway: Another great all-natural product from Tropical Traditions! I have come to really love all of the Tropical Traditions products. I love trying them out because I don't have to worry about their safety; I can bring them into my home with good conscience because they're all-natural. I just got to try out the Organic Skin Exfoliater in the lavender scent. I've always had a problem with dry, rough heels and this exfoliator has really helped! It has tiny scrubbers (that smell SO good!) that take care of the dryness and evens out the roughness. All of the Skin Exfoliators that Tropical Traditions offers are made with organic Virgin Coconut Oil and Virgin Palm Oil. No other products on the market are made with finer oils as their base. Tropical Traditions Virgin Coconut Oil is traditionally made from fresh organic coconuts, and independent laboratory tests show that it has a higher level of antioxidants than other coconut oils. Virgin Palm Oil contains high concentrations of a powerful form of Vitamin E called “tocotrienols” which published research has shown is 40-60 times more potent than alpha-tocopherol (the most common form of Vitamin E found as an additive in most skin care products.) In addition to these powerful Vitamin E tocotrienols, Virgin Palm Oil is also rich in natural carotenes. It is one of the richest natural plant sources of carotenes. All of the Tropical Traditions skin care products can be found here. One lucky Giveaways for Mom reader will win a jar of Tropical Traditions Skin Exfoliator! The winner will be chosen on January 27, 2011. Good luck! Tropical Traditions Gold Label Virgin Coconut Oil, Review & Giveaway! I try hard to keep everything my family eats as natural as possible. I don't want tons of chemicals going into my kid's bodies. I enjoy finding healthy alternatives that I previously wouldn't have thought twice about using. 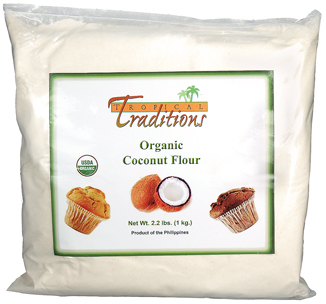 Tropical Traditions offers great alternatives to everyday cooking ingredients! "Virgin Coconut Oil is a food, and is one of the best cooking oils you can use. It has been a staple cooking oil for thousands of years in tropical climates. As a cooking oil, its chemical structure is kept in tact and therefore is resistant to mutations of fatty acid chains even when used in higher cooking temperatures, unlike most vegetable oils. Research shows that the medium chain fatty acids found in coconut oil boosts the body’s metabolism, raises body temperatures, and helps provide greater energy which can lead to weight loss." Hundreds of tasty recipes using coconut oil can be found here! All of Tropical Traditions products can be found here. Tropical Traditions is giving away a quart of coconut oil to one lucky Giveaways for Mom reader! 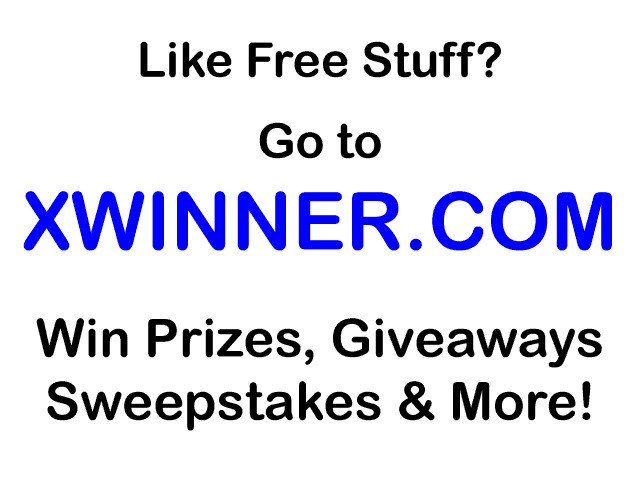 Follow Giveaways for Mom via Google Friend Connect. Subscribe to the Tropical Traditions newsletter here. The winner will be chosen on December 5, 2010. Good luck!